With a cooler climate than most other Caribbean islands, Aruba is the perfect place for a sunny escape without the intense humidity. The island’s population represents over 90 nationalities, and most people can speak at least four languages, making Aruba ethnically and culturally diverse. While it’s a great year-round destination, try to visit at the start of the year to see Aruba Carnival, when the island comes alive with music, dance, and parades. 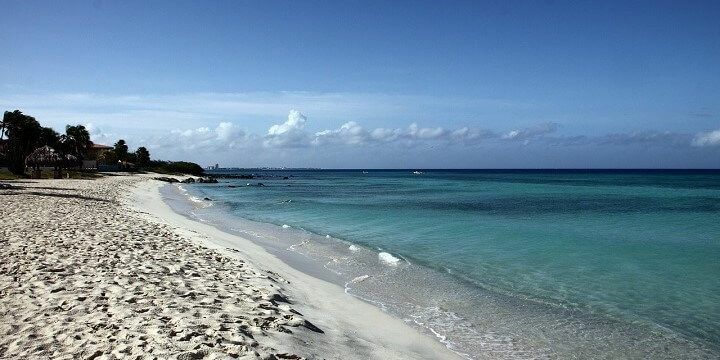 One of Aruba’s most popular beaches is Eagle Beach, where you’ll find picturesque walking and jogging paths along the shore. High winds attract watersports enthusiasts to the brilliantly blue ocean, while beach bums can soak up the rays on the clean, white sand. Another windy beach is Hadicurari, which is popular among windsurfers and kiteboarders. Its shallow waters offer wonderful snorkeling opportunities; however, its sand is not as soft as many other Aruban beaches, owing to broken coral and shells, so be sure to wear appropriate footwear. You'll find endless, picture-perfect beaches on Aruba. For a less breezy beach, head to Palm Beach, where calmer weather makes for perfect swimming conditions. You’ll also find lively beach bars offering cocktail deals, tasty food, and fantastic free live music. The Netherlands’ influence on Aruba is most evident in its capital, Oranjestad. Bright buildings and colorful street cars make this a truly unique city. 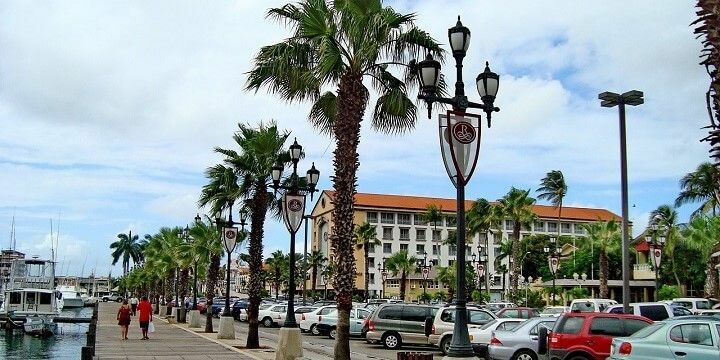 Like most other capitals, Oranjestad has plenty of restaurants, bars, and casinos, but it’s also a must-see for its museums. The National Archaeological Museum Aruba, for example, is home to 4,000-year-old ceramic artefacts, while you can learn about 18th-century Dutch settlers at the Aruba History Museum. Oranjestad is the capital of Aruba. Shopaholics will also be spoiled for choice by Oranjestad’s malls and shopping districts: check out Main Street for luxury boutiques, or Renaissance Marketplace for a vast range of stores, alongside dining and entertainment venues. From the capital, it’s only a short drive to another exciting city. San Nicolas, also known as “Sunrise City”, is home to some of the best art on the island: from street murals to galleries, this city is as colorful as can be! If you’re tired after exploring the art scene, check out San Nicolas’ two beautiful beaches — Baby Beach and Roger’s Beach — both of which have gorgeous white sand, and shimmering blue sea. Around 20 percent of Aruba’s landmass is made up of Arikok National Park, which stretches from the east to the north coast. Here, you’ll find wildlife such as rattlesnakes, parakeets, and whiptail lizards, alongside centuries-old cacti, and intricate rock-face paintings. You'll find some interesting wildlife in Arikok National Park. You can see all of these highlights along the park’s multiple hiking trails, the toughest of which will take you up to the 188-meter-high peak of Mount Jamanota, Aruba’s tallest point. Some of Arikok’s most popular attractions are its caves, inside which you can see bats, ancient paintings, and impressive stalactites. Don’t miss out on Guadirikiri Cave, which is actually formed of two caves, connected by the “Tunnel of Love”, with Indian cave paintings and natural, romantic skylights. If NextStop24 helped you to choose your next travel destination, we'd be very grateful if you’d search for your accommodation and things to do in Aruba through these links. They're affiliate links, which means that we will receive a small commission for every booking made through them. There are no extra costs for you; you'll simply be helping to keep NextStop24 running. Thanks! 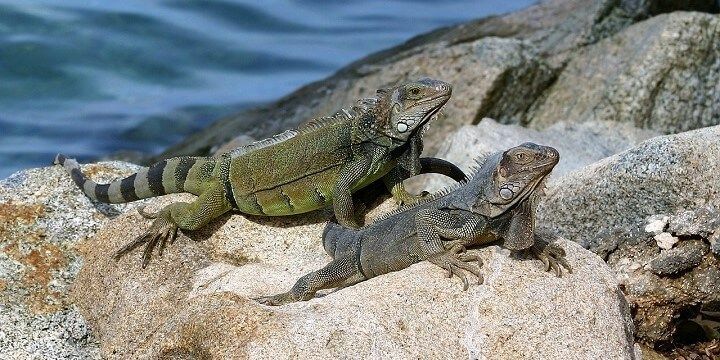 Aruba is great if you're looking for a beach getaway with beautiful nature and just some other things to do.